There’s a lot of meaning in the phrase above from Zig Ziglar. A lot of people misunderstood and thought that they will be successful when they are rich, when they have the capital, when they have the car, when they have the time, when they have the talent, or when they are great. In other words, it is actually saying that what seem to be factors for failure turn out to be the factors for success for Michael Jordan. If you think that you need talent to be successful, think again. What about money and capital? What about education? You don’t have to have what it takes first to build the success you want. You don’t have to be great before you can create the result you want. You just need to get it started and be great. Having a great start is one of the most important factors that will determine your success in life. And it also one of the most ignored success skills for the majority. 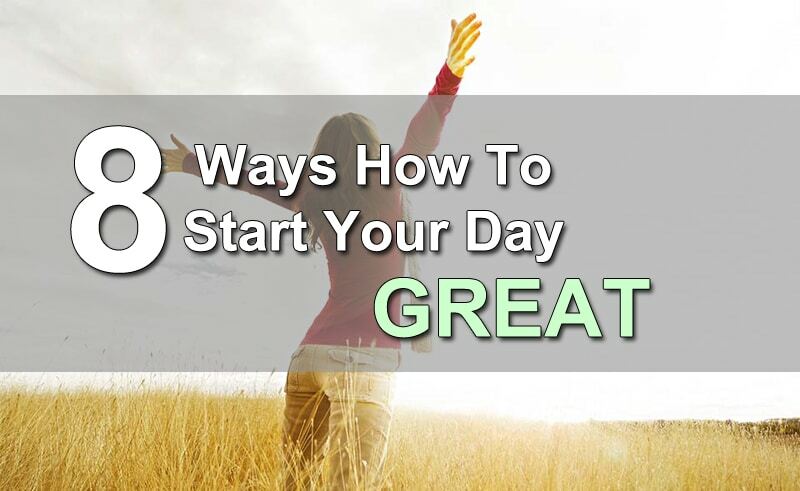 Yes, having a great start each day is a skill. You can learn it. Just like learning how to lose weight, you can learn how to start your day great, every day. Do you consider yourself successful if you have the wealth but you don’t have the health? Everyone’s definition of success is different, but I believe that nobody wants to be rich but don’t have the health to stay long enough to enjoy. Come on, I intend to live long enough to see my grandchildren. You cannot have a great start if you don’t have a healthy lifestyle. And I believe that you have had days where you feel so tired and so sleepy that you just can’t concentrate on your work, right? This is exactly what will happen if you did not take care of your health. The lack of energy, feeling sleepy during the day, no motivation and no drive are not a great way to start your day. Therefore, you need to practice to exercise regularly. Make it a habit to exercise and workout in the morning if possible. Do you know that when you exercise and sweat, your body will release chemical called endorphins? And these endorphins will interact with your brain and gives you a positive feeling. In other words, you will feel happier and better when you exercise. Basically, it improves your mood and releases your stress too. When you work the whole day or go shopping the whole day, you will feel lethargic and tired after that. Those activities consume your energy. However, when you exercise, you work on your muscle strength and you boost your perseverance. Physical activities provide oxygen and nutrients to your tissues. Hence, you feel more energetic. Your lung works better and your heart becomes more efficient. Overall, exercise is a great way to start your day. You don’t really need to go to the gym each morning or jog for an hour for this. Of course it will be much better if you can do so. However, I do understand that it will be difficult and challenging if you are not a morning person and exercise is just not a part of you. What you can do is to practice at least a 15 minutes workout session. You can learn how to do it from YouTube videos. There is lot there for you to choose. Perhaps you can practice the same set of workout for a week and then change to a new set. Or you just change it every day. Remember, the most important thing is to have a great start. So don’t dwell too much time in YouTube and wasted your morning. And make it a habit to exercise each morning before you start your day. It’s going to be a great day. The definition of breakfast is to break the fasting. Again, I believe that you have gone through days where you don’t take proper breakfast and feel tired, hungry and can’t focus in your work during the day, right? Having a proper and healthy breakfast is essential to start your day great. Imagine you sleep for 7 hours the night before and you wake up hungry. You did not take in any food until later in the afternoon. Can you really be productive this way? I don’t think so. The same principle applies here. You eat breakfast because you want to have energy to thrive and to have a great start. Now, I’m not a nutritionist and I’m not a doctor. So I can’t give you much suggests about what to eat for your breakfast. A healthy breakfast meal should contain a variety of foods, including fruits, vegetables, whole grains, low- or non-fat dairy, and lean protein. Remember, you have to break the fasting after a long night sleep and empty stomach. Your level of energy and motivation are directly affected by the food that you take in. Thus, to have a great start you have to have a great healthy breakfast. This is what most people will never do. Envisioning your day is just like planning your day in your head. You think and imagine about the things that you want to get done and how your day is going to be. The better way is to write down what you need to get done. Plan for your day and your day will take care of itself. “If you fail to plan, you plan to fail.” There’s some truth in it. When you have a plan, you know what you need to do. So what happen if you don’t have a plan? You will be reactive and follow through whatever that comes to you. Do you know that if you don’t plan for your day, you will be reactive than proactive? Imagine that you arrive in your office and you don’t know what to do. So what will you do? Most likely you will be reactive and respond to everything that comes to you. When your superior ask you to do something, you will react to it and do it. Worse, when you are free, you will waste time in Facebook or surfing YouTube. On the other hand, if you have a plan and know what you need to get done, you can say “no” to other less important things and handle the most important tasks at hand first. When you plan for your day, you can apply the Pareto’s 80/20 rule. Plan to work on the 20% of the work that will give you 80% of the result first. And after that only you use the remaining of the time to settle the less important work. Successful people are able to achieve outstanding results because they know how to get the most important thing done first. And when you follow through, start your day with planning and envisioning your day, you can accomplish the same result. You will feel great after you have accomplished the most result-oriented work the first thing in the morning. You feel lighter and you have a great sense of accomplishment. This is how you can start great and be feel great. Most of the great people out there dedicate their success to constant reading and learning. It is said that all leaders are readers. They read a lot to improve their knowledge. It is said to say that more than half of the graduates never read a book after their college. People nowadays prefer to watch YouTube and checkout stuffs in Facebook than investing in themselves through reading. I look at reading as a form of investing in myself. I read a lot of great books. Success books, personal development books, motivational books, business books, etc. On average, if you can read and study 2 books in a month, you will have digest 24 books in a year. And within 3 years, you will have studied and gone through 72 books. Can you imagine how this is going to impact your life? You will never be the same again. You will never be ordinary. You have within you the potential knowledge and possibility to make things happen. It will change your life dramatically. Of course, don’t just read for the sake of reading. Study the book, take note and really learn from what the author has to say. Reading improves your memory and boosts your creativity. Unlike watching TV, when you read, your mind will imagine the words in pictures. It trains your focus. It is definitely not easy to digest a book. You need a lot of attention and focus to really digest the words. There are times when you don’t focus, you will end up reading the book for the sake of reading. It is one of the fastest ways to learn something directly from qualified people who have achieved the result that you want. 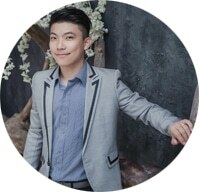 Want to learn to invest in the stock market? Read related books. Want to learn how to be a better parent? Read books about the topic. Improves your vocabulary and your writing skills. Reading, speaking and writing are essential skills that we used in our lives every day. To build a great business, you need to have a great communication skill. And reading can help you to achieve that. So make it a habit to read before you start your day. Wake up 30 minutes earlier and spend this improvement hour into reading a great book that will change your life and make you successful. It will be difficult and challenging if you never read a book in your life before (Which shows that you definitely need to read). You can start slow and small. Perhaps, commit to just read a book a month. And if you are able to stuff all the great and exciting things into your mind each day, you will start greater and faster than other ordinary people. You will have a head start through reading. What can be better than to start each day with hope? Each morning, review your goals and dreams. Remind yourself about what your targets are and why you set out to accomplish them can boost your motivation instantly. Most people fail to achieve their goals mainly because they don’t review their goals every day. What is out of your sight, will be out of your mind. This is why the gurus suggest us to put our goals somewhere we can see often. For example, you write down your goals and put on the fridge, on the mirror in the bathroom, on your wardrobe, etc. Jack Canfield and Mark Victor Hansen, the authors for Chicken Soup series once suggested us to write our goal on card board of business card size and keep it in your pocket all the time. So whenever you put your hand into the pocket, you will touch the card with your goal. 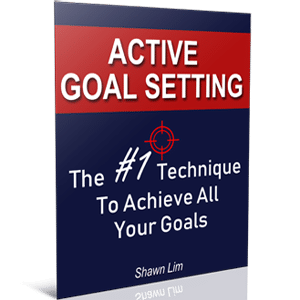 This will remind you about your goals and what you need to do to achieve it. Therefore, start your day by reviewing your goals and your dreams. Let them motivate you to start your day. If you don’t feel motivated with your goals and dreams, maybe they are not what you truly wanted to have in your life. So set goals that are big enough and that will excite you to jump out of your bed each morning. Review them each day. They will give you energy, motivation, hope and inspire you to have a great start every day. Because if you have a billion dollars, and every day you live pissed off and frustrated, the quality of your life is called pissed off and frustrated. But if you have next to nothing, and are grateful for whatever it is you have, you’re the richest person that you’re going to know. It doesn’t matter how much money you’ve got if you don’t have gratitude. Do you know why you need to be grateful for whatever things you have right now? If you don’t value the things you have in your life right now, no matter how much money you made, you will never feel wealthy. And if you are grateful for all the things that you have in life, you will become the wealthiest man. Of course, you can be rich and be grateful at the same time. Thus, before you start your day each morning, read your gratitude list or just write a new one. You can just list down 10 things that you feel grateful for and make it a habit to do so each day. It should take you less than 5 minutes to do. And if you can’t even spend 5 minutes to be grateful for the things you have, you seriously need to consider changing your life. When you are grateful, you will feel calm and at peace. You will be able to get more things done when you are grateful than when you are in a pissed off mood. One of the simplest ways to boost your sense of gratitude is to smile more. Your physiology will affect your emotion. When you smile, you feel happier and you feel more positive. Studies have shown that smiles make you happy, make others happy when they look at you, help you to release your stress, lift off your tension, and make you more creative and able to boost your productivity. Do you have a reason to smile now? Well, you don’t really need to have a reason to smile. Even when you don’t feel like smiling, fake your smile and you will get the same positive effect. Just that you have to fake it as real as possible. So be grateful and smile more often. It is the greatest and easiest way for a great start. There are clothes where you will keep and only wear for certain occasion or special day, why? It is because you feel ‘different’ and you feel special when you wear the clothes. It means that different clothes will give you different feeling and emotion. When you wear a great shirt out for work, you feel more confident and you feel more powerful. If you just cut your hair and someone tells you that you looked good, how does that going to make you feel? You feel good right? Of course! This is why you need to take care of your self-image. Get groomed and get well dressed. How can you start a great day if you are don’t have a great self-image. When you look good, you will feel good. When you feel good, you tend to have more confidence. When you have more confidence, you will be able to achieve more. Successful people know about this. That is why they keep a healthy self-image to feel good all the time. I’m not asking you to buy expensive clothes and watches to boost your confident, even though they do help most of the time. All you need is to just properly groomed and dressed up properly. Once in a while you may want to spend some money to buy new clothes that will make you feel good. So take care of your appearance and they will take care of you. This is how you prepare your day for a great head start. Sometimes you just can’t control your thoughts to think positive. Things may happen fast and your thoughts will just pop up unconsciously without you noticing that you are thinking something negative. When you wake up each morning, what is the first thought that comes into your mind? Some people will think, “God, another day that I need to get to work and I hate my job.” This automatically makes them feel lousy. They won’t feel good and they definitely lose their drive to work harder. While some people will think, “I just can’t wait to get up and make my dream come true.” This thought makes you excited and drives you into action. Sometimes, all you need is just a simple thought of telling yourself, “Yes I can do it”. Your thoughts will determine your feelings and vice versa. What you need to do is to manage your thoughts and your feelings. When you feel down, tell yourself that you can make it and you will never give up no matter what. For instance, each morning before you get to work, tell yourself something positive. In fact you should do so right after you wake up. However, most people will find it difficult to control their thoughts right after they wake up. They’re just too sleepy to manage their thoughts. You can read powerful and positive quotes after your gratitude exercise. The key is to make it a habit to do it every day so that you will have a great day. The most life-changing thing you can do here is to adopt the habit of positive thinking. When you have a positive mindset, you can accomplish more and definitely achieve greater success in your life. The issue with most people is that they don’t think positively all the time. They will think positively only when they remind themselves about it. When we are conscious about our thoughts, we can control what we want to think. The problem comes when we are unconscious about our thoughts. So how can we change this? The same technique can be used like how we remind ourselves about our goals. We can do it on purpose. We purposely read out positive and powerful quotes. We deliberately tell ourselves that we can do it. We mix and network with positive people. Over a period of time, you will notice that it has become your habit to think positive. And when you have made this your habit, nothing can stop you. You will have a great start each day and live each day of your life great. You may not be able to implement all these 8 ways instantly into your life. So what you want to do is to slowly make each one your habit. Starting from tomorrow onward, eat healthy breakfast, plan for your day, exercise and workout, read for 30 minutes a day, and don’t forget to smile and be grateful for all the things that you have right now. So how do you start your day great? Share with me your thought and leave your comment below.